ISO standards are reviewed every five years to ensure continued relevance to the market. 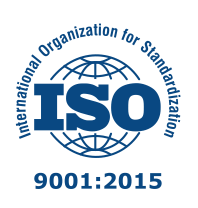 As such, we now have the latest ISO 9001: 2015 Standard released around September 2015. “Interested parties” is now introduced to include owners, customers, partners, suppliers, regulators, etc. Organizations take varying approaches to addressing the latest standard requirements. Unfortunately many address the revisions in a “shotgun” tactical approach with little planning and structure. They are not doing a detailed gap analysis of their current QMS to the latest requirements. They then put together a proactive plan to address the gaps. Typically a reactive approach as opposed to a proactive approach to system review and improvement is undertaken. In addition, the organization should actively review and address (remove as needed) any outdated Quality Management System documentation and stated requirements that are no longer needed as this can dramatically streamline the system. We have seen organizations that eliminate as much as 50% or more old documents, procedures, inspections, tests, etc. that are no longer required and only inhibit an effective and efficient Quality Management System. Taking this type of strategic approach to enhancing your Quality Management System will save time and money as well as your sanity.